Leslie Frost is an agent for a secret U.S. intelligence agency. According to her opening statement in the first chronicle, Leslie Frost is one of two remaining out of seven. The group of seven, painstakingly compiled by a meticulous and stern leader Frost calls Maxine the Queen, were all codenamed the seven female ivy league colleges. Frost was Smith. The others, such as Vassar and Wellesley, had all died on missions. Frost didn't expect to live much longer, considering the fate of her 'sisters'. The daughter of a noted American diplomat, Frost heard of the United States more than she saw it growing up. This almost nomadic life took her around the world and made her understand the international situation better than most people her age. When she was back in the States, she marvelled at how little her peers knew or thought of the world outside their view. She was also gifted from an early age with a love and a talent for music. Even as she was honing her espionage tradecraft, she was becoming a major player in the concert halls of the world. While hardly at a level of a rock star, she nevertheless was able to get into many places most people couldn't, using her fame in the classical music world to take her where she might otherwise be suspect, giving her an edge. Still, the same could be said for the 'sisters' who are no longer. Interestingly, though she lives in the world of high culture and sophistication, bringing the most genteel music to affionadoes around the world, Frost personally loves to wear leather, ride a powerful motorcycle, and hang out at her brother's nightclub. 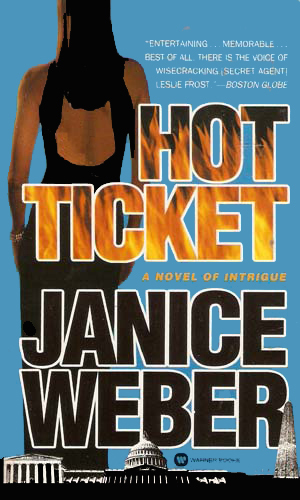 While on tour in East Germany after the fall of the Berlin Wall, Leslie Frost discovers a clandestine group in possession of a hidden, ultra-sophisticated computer and working on a new system of smart bombs. For the sake of stability, she is ordered to bring the group down. When a sister agent is killed, Leslie Frost is determined to give avenge her murder and that takes her from the streets of D.C. to the hot forests of Belize, nearly losing her own life several times. 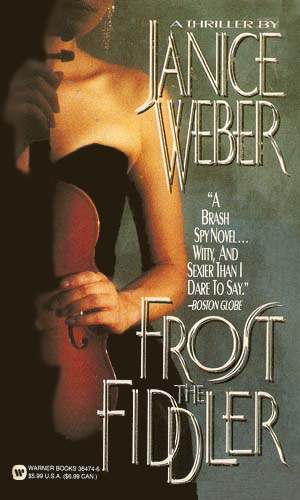 The close interweaving of Frost's public vocation and her private one is at times hard to follow, bringing as it does so many characters that it is hard to follow, but that does add to the mystique as some overlap. This overlap, while a bit confusing, is also fun because you never know for sure which world an acquaintance might fit into, the music or the espionage. The writing is expert and clean. You understand her motivations and her interaction with others. The stories tend to drag a bit in the middle but otherwise are fun reads. I do wish there had been more than just the two.